To see a monkey in your dream indicates that you will be misled by being under the influence, you will behave inconsistent. To see of hunting a monkey in your dream denotes that your account turned out to be hot air, your work won’t fullfil because of unexpected troubles. To see that you give food to a monkey in your dream symbolizes that you will have a rest by travelling, you will be out of stressful environment. To see that a monkey bites you in your dream may represent that you will be slandered or an innocent person will be accused. To see of playing with a monkey in your dream denotes that you will have no time with your family or you will be apart from your family. To see of eating monkey meat in your dream represents that you will be exhausted too much and you will lose your control. To see of shouldering a monkey in your dream states that you will try to affect someone or you will try to show yourself different . To see of taking something from a monkey in your dream indicates that you will have an unexpected guest or you will be obliged to be in the same environment with a friend whom you don’t like. To see that you like a monkey in your dream denotes that you will buy a household goods, spend money for lack of goods of your home. To see that a monkey attacks in your dream signifies that you will face your phobia and overcome that fear. To see of giving a banana to a monkey in your dream denotes that you will be out of work, have a travel and be free. To see of transforming to a monkey in your dream indicates that you will be under influence and you will be misled about an issue which you have conflict about or you will make a bad decision. 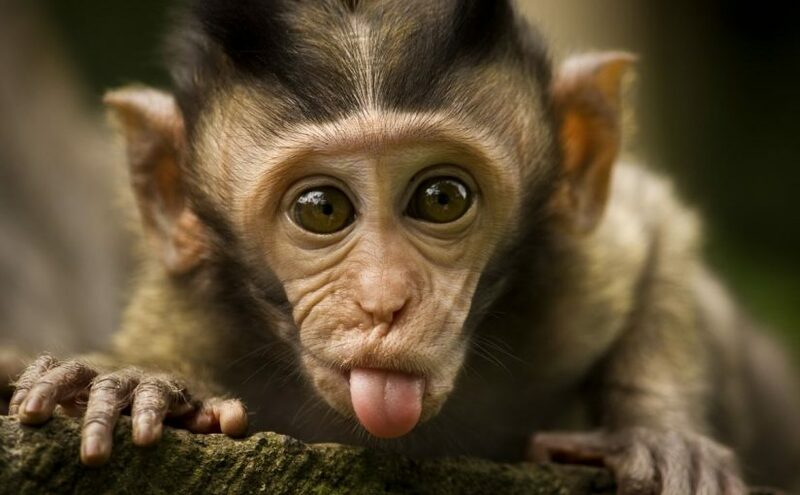 To see that a person resembles a monkey in your dream denotes that you will have a discussion with a your close friend. To see that you hug a monkey in your dream represents that you will get a gift or you will make a child happy.